RDH Design Group offers customized landscape architecture design at competitive prices for residential, commercial, institutional and municipal clientele in New Jersey, New York and Pennsylvania. With our fast turnaround time we can create everything from a modern look that sparks your imagination to the classical design of your dreams. Established in 1997, we are a nationally recognized, award-winning, state licensed, fully insured professional landscape architecture design firm. We take pride in providing our customers with full-service landscape architecture, from conception, planning and engineering through implementation and maintenance. When you work with our company we handle all of the details so your project runs smoothly, from developing the construction documents and submitting them to your local township, to obtaining permits and variances for your pool, pergola and other structural elements. Whatever your need, you’ll get the personalized service that you deserve and the satisfaction of knowing that 11 years of experience will be going into the workmanship of each project. In addition, RDH Design Group is a member of the USGBC (United States Green Build Council) and has the capabilities to provide LEED consulting and design services to aid in creating a more environmentally conscious habitat. Robert Hessels has more than 15 years of experience in the field of environmental planning and design and landscape architecture. Robert has studied architecture at Konstanz University in Germany, and is a graduate of Rutgers University where he obtained a Bachelor of Science Degree in Environmental Planning and Design. He has been a licensed landscape architect for over 10 years (LLA# 21A000803), and is committed to educating himself with the newest developments in his field. 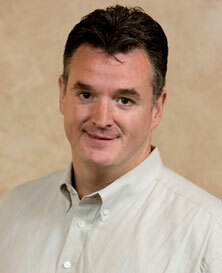 Robert trained and worked with several landscape architects and engineers before starting his own firm in 1997. Robert is a devoted husband and father of three lovely ladies. He mostly enjoys spending time with his family outdoors. His various hobbies include boxing, kayaking with his family, solving puzzles and relaxing with a good book and a bold glass of red wine.